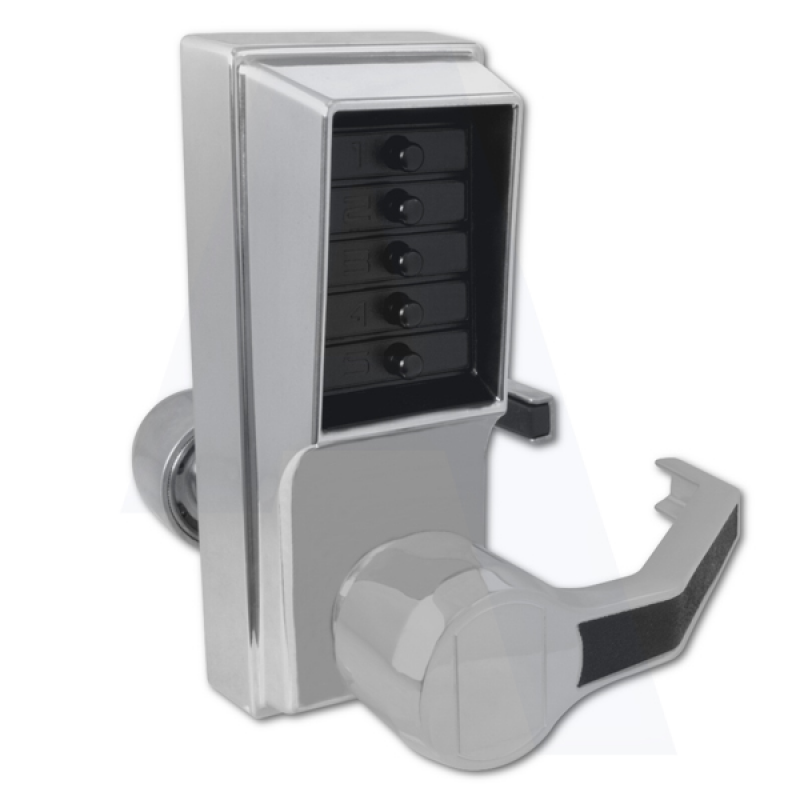 The weather resistant Simplex L1000 series from dorma kaba is a fully mechanical digital lock solution, eliminating the hassle of frequent battery replacement. The lock can be easily programmed via the 5 pushbutton keypad and does not require the lock to be removed from the door. This lever operated digital lock supports a single access code and features vandal resistant, solid metal pushbuttons for outstanding durability. The additional thumb-turn activated free passage mode is particularly useful for situations where you need to enter the building several times in quick succession, such as unloading a car or van.